This Nike road black is trimmed in gold and white, has sewn on everything as well as name on back, and comes back #9 signed by the high powered QB in bold black sharpie. 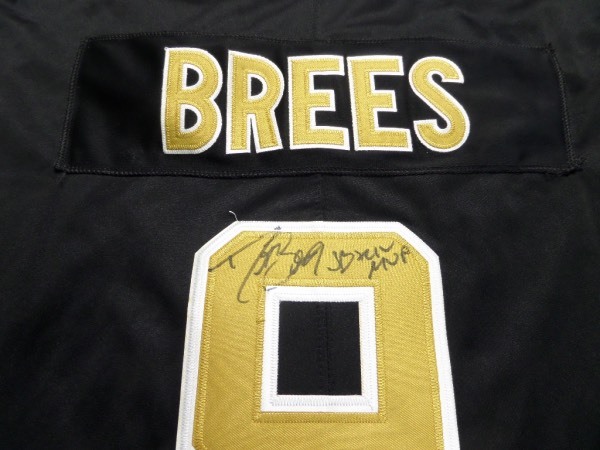 It is a 10, shows off EZ from 25 feet away, and value is mid hundreds on the "Nawlins" star and fan favorite. None better, and an easy future Canton investment and he has even included "SB XLIV MVP"!